Complete for the right side of your handlebars. Designed for dual front brake cables. 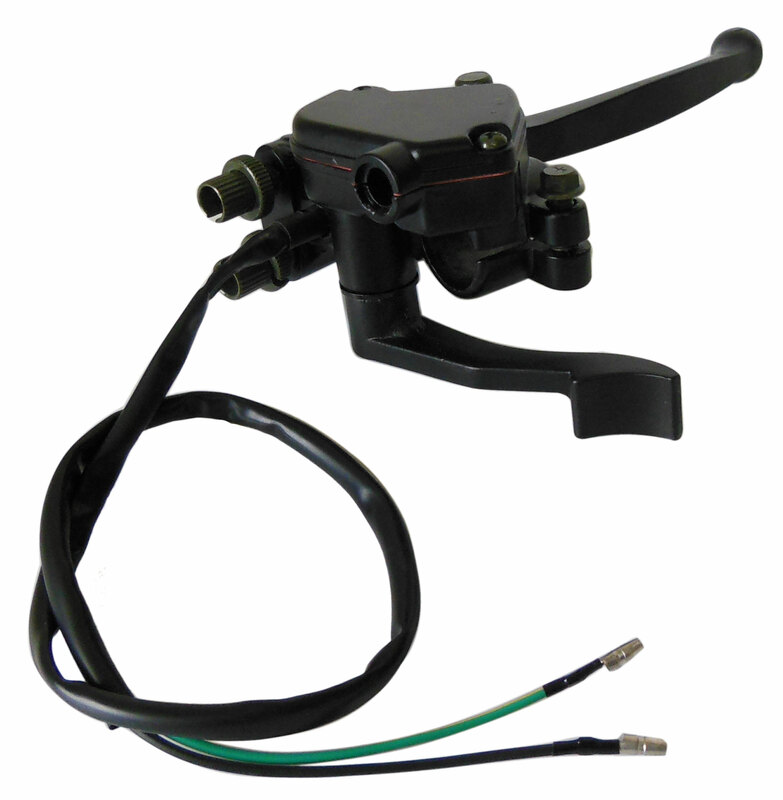 Also has the throttle governor screw installed and is adjustable to limit the speed of the ATV engine.